Like many things in nature it's round and holds everyone at the same time. 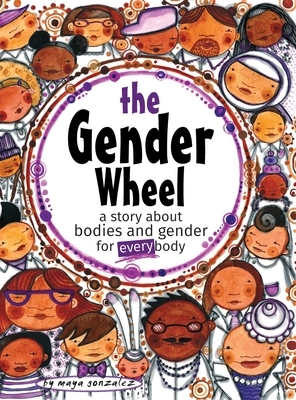 Like our world it's round and holds everyone at the same time too..."
In 2010 Maya introduced the Gender Wheel and the Gender Team in the Gender Now Coloring Book. It was a jammed packed coloring extravaganza exploring bodies, nature and history in relation to multiple gender identities. It also opened up the possibility of play and expansion around our still limited language of "boy" and "girl." They She He Me: Free to Be is a powerful companion to this book and uses pronouns as a place to expand ideas about gender and celebrate personal expression. Together these books offer an integrated foundation to talk to kids about gender and expand our thinking as we remember that we ALL belong.